A sequel to the popular truck simulation game. Just like its predecessor from 2008, the game was developed by Czech developer SCS Software. Euro Truck Simulator 2 lets you play as a truck driver and owner of a delivery company. The core gameplay has you transport cargo between towns and cities. The game’s map comprises of a large part of Europe, and features a significant number of cities you can visit. The money you earn doing jobs lets you purchase new trucks or customize the ones you already own. Euro Truck Simulator 2 sports attractive visuals and realistic driving model, which takes into account not only well-researched real-life physics, but also the current road conditions. 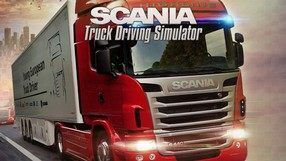 Scania Truck Driving Simulator is a Scania truck simulator produced by the Czech SCS Software studio. In the course of the game, the player tests his driving skills in this type of vehicle, taking part in one of the many available game modes. 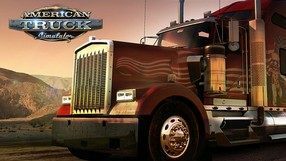 Developers from the Czech Republic offer, among other things, such ways of conducting the game as Free Riding, Extreme Trucker or Young European Truck Driver races. Another production from the truck simulator family from SCS Software studio. This time we will have to transport goods by truck through neighbouring Germany. A number of improvements have been made to the game, including improved graphics, user interface, and driving model. It was more focused on realism than on arcade gameplay.